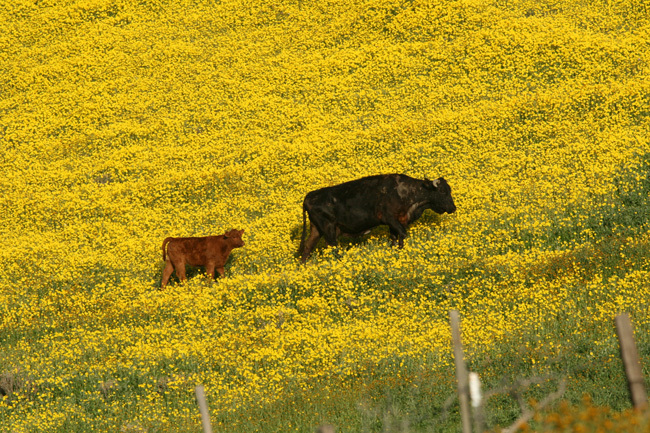 Is it a field of mustard? Looks like it. Fabulous title for the charming pic! Superb shot! Beautiful colors and glimpse into the family life of animals! I’m thinking mustard or canola… so very sunny looking. Wonderful colors and what an excellent title! Walking on sunshine, what a beautiful post! I’d love to walk there… :). All thumbs up, Jet! So delightful! Thank you Jet Dear for the sunshine you sent to warm my day and my heart! A shot of rare beauty with brilliant compositional elements !The huge golden carpet emits shimmering lighting my lovely friend,and it’s so handsomely punctuated by the lovable cows! …Walking on Sunshinnne…Woah….and don’t it feel GOOD? Happy Spring Jet! Fantastic title – marvelous scene! You have over 100 likes on this post. What an engaged community you’ve built.